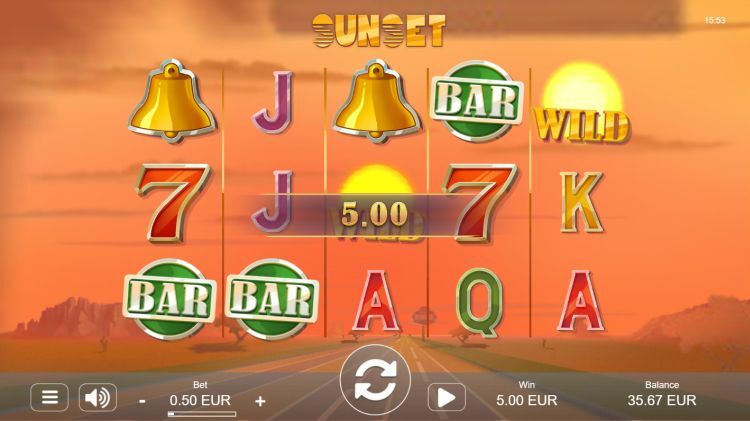 Sunset is a video slot of the small game provider Relax Gaming. This games developer hopes to outgrow this “small” label soon by the way. They released some nice slots in 2018 (see for example Van Gogh, Erik The Red and Epic Joker). They also entered into a partnership with Big Time Gaming to design Megaways slots under licence. 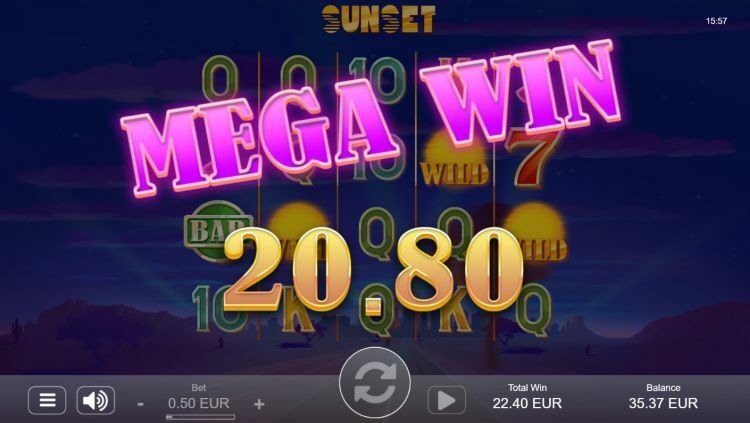 This Sunset slot is not a Megaways game, but it does have a few cool ideas and features. This is one of those slots that you play once in a while, and then leave it alone for a few months. How does the Sunset slot machine work? The setting is a highway through the desert, with a gentle sunset. How awesome must it be to end the day in a convertible, and the wind blowing through your hair? Sunset is not a slot with lots of bells and whistles, but it does create a quiet and relaxed atmosphere. There are 5 reels with 3 rows of symbols, and you can benefit from the win all ways mechanism. In total there are 243 ways to win in the primary game. Betting is done with a fixed amount per spin, which starts at $€ 0.25 and ends at $€ 100 per spin. The variance is medium, and the payout rate is 96.52%. 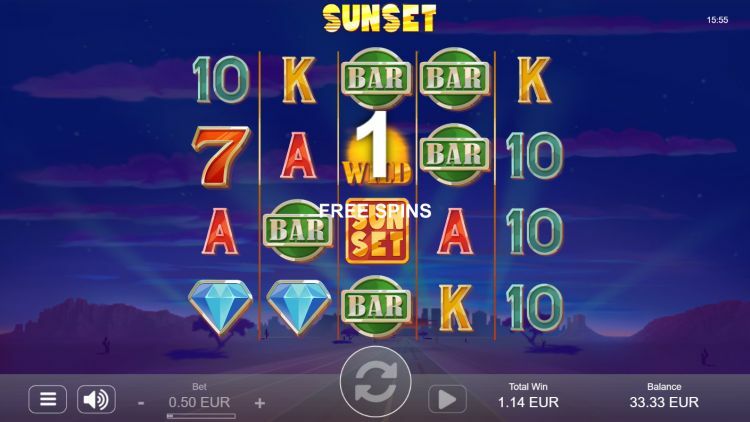 Relax Gaming has chosen classic slot machine symbols for the symbols on the Sunset reels. The highest paying symbol is the diamond. This blue rascal gives you 60 x the total bet for a 5-of-a-kind. The red seven, the clock and the BAR are the premium symbols, which yield between 10 x and 24 x the bet. The card symbols 10, J, Q, K and A pay between 1.6 x and 2.4 x the bet for a 5-of-a-kind. The wild symbol plays an essential role in the game (more on that later) and replaces all symbols except the scatters. The wilds are not only wild but have another vital function. If a wild symbol is spun, then, one spin later, it moves down one position on the reel downwards. This feature can be very profitable, especially when you spin multiple wilds at the same time. The 3, 4 or 5 scattered Sunset symbols activate the free spins bonus. These give you 8, 15 and 25 free spins respectively. During the free spins, you get an entire additional row. This means the number of ways to win grows even further from 243 to 1,024. So not only more chance of a price but also more chance of huge payouts. The nudging wilds are also active during the free spins and in combination with the many ways to win it can also result in very nice rewards. Our verdict on the Sunset slot machine? At first sight, Sunset looks a bit plain and boring for us. We have seen the classic fruit slot symbols hundreds of times before and the win all ways is not a new concept either. However, this slot machine comes to life when several nudging wilds appear on the reels, especially during the free spins bonus that can give your balance a considerable boost. After that, the Sunset slot suddenly becomes a lot more attractive. Where can you find Sunset? 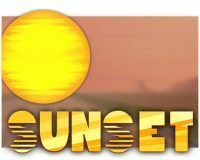 The Sunset slot is found at all reliable Relax Gaming casinos. One of these Relax Gaming casinos is Slots Million, which is one of our favourite online casinos. 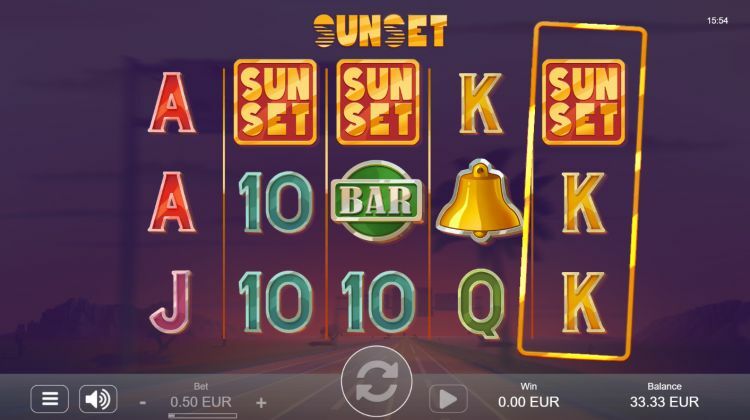 You can play the Sunset slot at Slots Million with a 100% bonus up to $€ 100 plus 100 free spins.